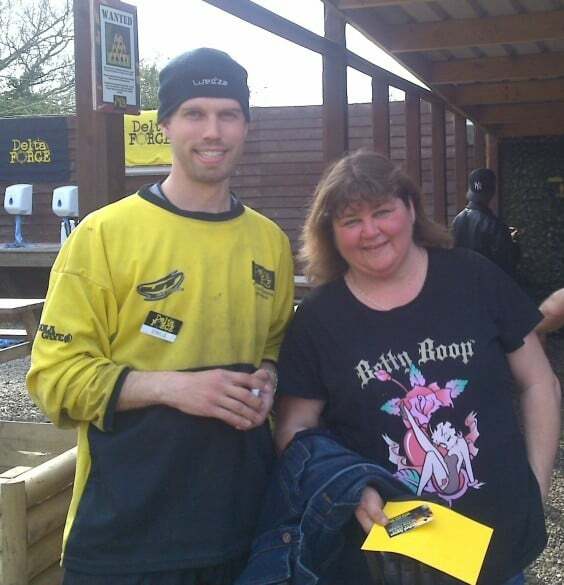 EastEnders TV star plays paintball in Upminster, Essex. Cheryl Ferguson, better known as Heather from the popular TV series EastEnders, recently enjoyed a day out paintballing with Delta Force at our premier paintball centre in Upminster, Essex – this venue is regarded as one of the best in the country. During her full day of excitement, Cheryl looked the part after donning our top of the range Delta Force paintball equipment including full head goggles, padded body armour and camouflage combat suit. Cheryl did the EastEnders cast proud with her performance out on the paintball field alongside her teammates as she faced game zones such as London Apocalypse, Jet Hijack, Speedball and Zombies’ Crypt. For the opportunity to enjoy a full day of paintball action and non-stop fun at any of our centres in the UK with the chance to team up with a celebrity paintball player, contact the Delta Force booking office 24 hours a day, 7 days a week on 0203 869 9301 – we host the most exciting paintball events in the UK, so what are you waiting for? Gather your mates and give us a call!